Window awnings have been a traditional feature of Melbourne homes for decades. Designed with the harsh Australian climate in mind, they protect your windows and provide shade at the same time. With a design that keeps the inside of your home cool, they are a great way to lower your energy bills in the summer months. Our range is suited to external windows with a width between 500mm to 4000mm, and are perfect for homes where a traditional look is desired. Our canvas window awnings come in a range of fabrics including acrylic and screen fabrics, with a huge range of colours and designs to choose from. With such a large variety, we have designs that are perfect for both traditional and modern home exteriors. Our selection of canvas window awnings in Melbourne are made from the best materials, using the latest technologies in manufacturing. Using the latest in design technologies, you can be sure that the awnings that we install are measured to perfection.  Our canvas window awnings are made using only the best components and fabrics. Our 5 year warranty on hardware & fabrics is testament to our quality. Our range is proudly made right here in Melbourne to Australian Standards. It's good to know you are supporting Australian Made with Blinds4Less. We only use fabrics that are mould, fungus and rot resistant. Your window awnings will look their best throughout the seasons, with no unsightly mould or stain marks. Over 200 fabrics to choose from! With over 200 quality fabric types and colours to choose from in our range, you'll get the best chance of finding the perfect colour match for your windows. 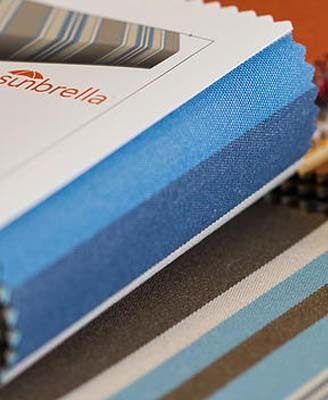 Using the latest in coating technologies provides our fabrics with excellent soil release properties, meaning easy to clean, more durable and less maintenance for you.